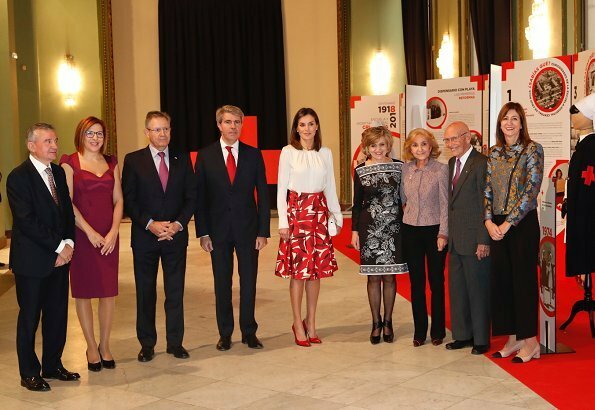 On November 20, 2018, Spanish Queen Letizia attended a ceremony held at Madrid Circle of Fine Arts, which celebrated the centenary of the School of Nursing and the Central Hospital of the Red Cross San José and Santa Adela. 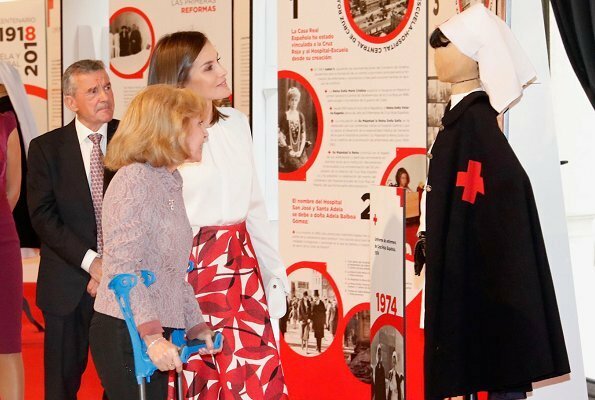 The Queen also visited an exhibition dedicated to the centenary of the hospital. The hospital was built between the years of 1893 and 1908. 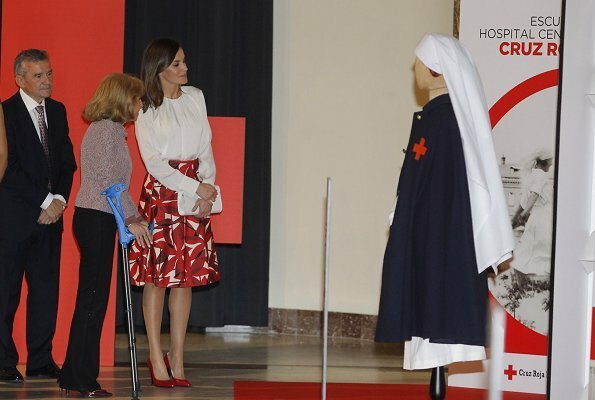 In 1918, the administration of the hospital was handed over to the Spanish Red Cross with a Royal decree. La enfermeras y la Cruz Roja se merecen todos los homenajes. The colour combo is an ode to nurses. Good look on her. Rather to the Red Cross in general. 100 years of Nursing what a nice event. 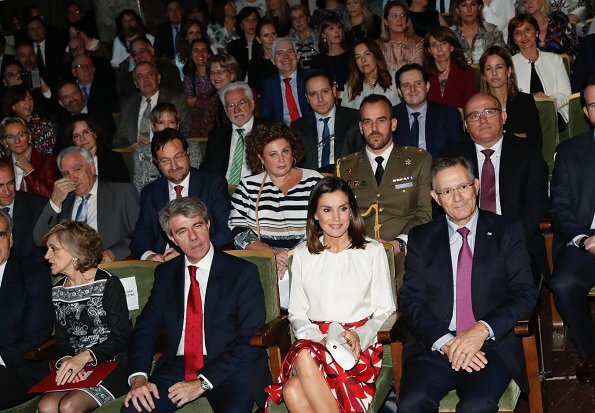 Letizia's look is fresh she looks good. I like the fact that Queen Letízia use the same clothes several times and she always look good. Love this - she looks fabulous. An appropriate color combination for this event. Even the official's tie matches. Good to see the rapport with the young people. Her best accessory today is her warm genuine smile.